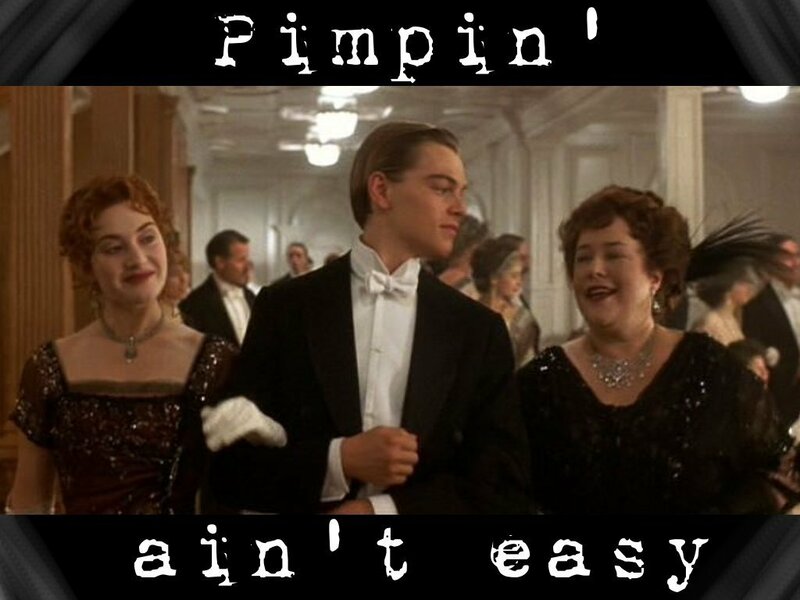 Pimpin' Ain't Easy. please dont take this the wrong way. i LOVE this movie, and i LOVE jack. this came from talking to a friend while watching Titanic at like, 2am. :D. HD Wallpaper and background images in the Titanic club tagged: titanic movie jack wallpaper rose pimpin'. This Titanic wallpaper contains business suit. There might also be dress suit, full dress, tailcoat, tail coat, tails, white tie, white tie and tails, sign, poster, text, and chalkboard.